Sadly the Phonesats Alexandra, Graham and Bell are no more, they were always going to be shorted lived, but having launched on April 21st aboard the Orbital Sciences Antares test flight, they have sadly now deorbited. Our orbital analysis indicates that the PhoneSats have deorbited on April 27 and have burned up in Earth’s atmosphere as predicted. No one has been able to hear from the satellites since, which confirms the predictions. The PhoneSat team is continuing to develop the PhoneSats using consumer technology to greatly increase the capability of the satellite whilst developing with a low cost – our next versions are launching late this year so stay tuned. Thank you again for your support in making this technology demonstration successful! Must say I really enjoyed chasing these, getting some decent results with very modest equipment. No the Phonesats don’t look like this! 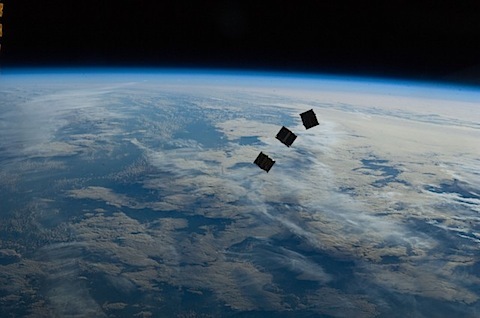 It is an interesting time if you are into chasing satellites as there is a plethora of CubeSat launches imminent. As part of this initial test there were a number of CubeSats on board due for deployment unfortunately with just twelve minutes on the clock the launch was halted due to a premature separation of a launch pad umbilical connection to the Antares upper stage used for data communications. Orbital is currently analysing what happened. The next launch attempt is tentatively set for no earlier than Friday pending a successful resolution of the issue and acceptable weather conditions. 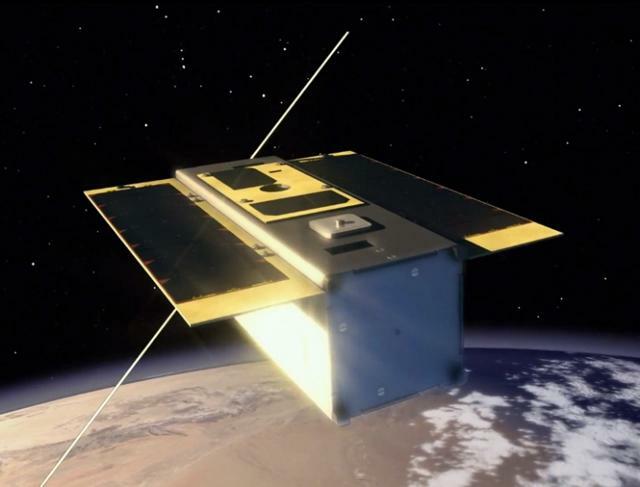 The CubeSats due for deployment were part of the NASA PhoneSat project. Three CubeSats called Alexandra, Graham and Bell are 1U sized and similar to the British STRaND-1 CubeSat utilise Commericial Off-The-Shelf (COTS) Electronics, namely a HTC Nexus One smartphone running the Android operating system for the Phonesat 1.0 satellites (Graham and Bell) and a Samsung Nexus S for the Phonesat 2.0 Beta satellite (Alexandra) The satellites also contain an external radio beacon, batteries and a circuit to reboot the phone if it stops transmitting, again all off the shelf commerical parts. Also onboard Antares was the commericial DOVE-1 satellite, a technology development experiment. 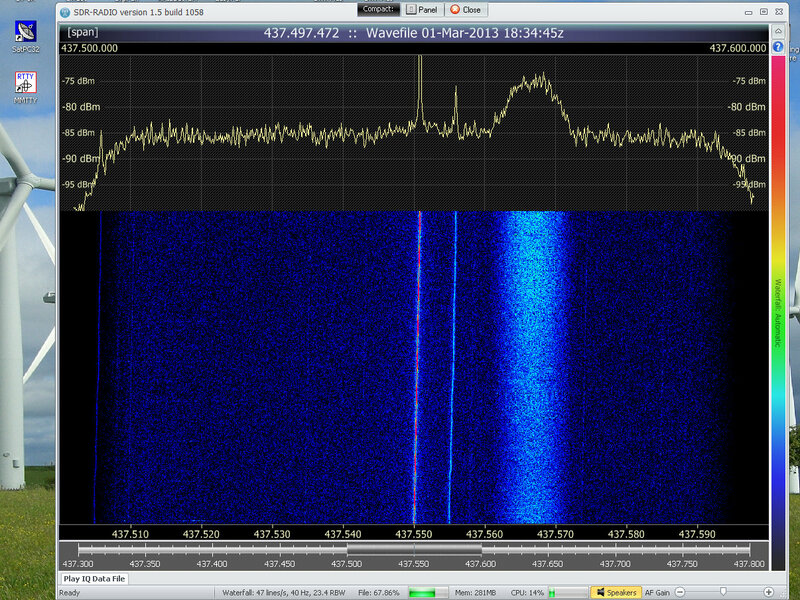 Originally intended to have a telemetry downlink on 145.825MHz this apparently is no longer the case. So it looks like being a busy time, once the orbits are known and the TLEs are published. Sadly it seems STRaND-1, that got me so excited last month has fallen silent after its transmissions became intermittent over the Easter weekend. After failing to receive any radio transmissions the team are apparently asking the EME weak-signal community to listen for the STRaND-1 LO (Local Oscillator) at 312.5MHz to see if it is still alive. As I posted earlier this week a number of satellites were launched into orbit on board the PSLV-C20 rocket, this included the first UK CubeSat, STRaND-1. STRaND stands for Surrey Training, Research and Nanosatellite Demonstration and STRaND-1 is hopefully the first of a long line of STRaND nanosatellites from the academic researchers at the Surrey Space Centre (SSC) based at the University of Surrey in conjuction with Surrey Satellite Technologies Limited (SSTL). 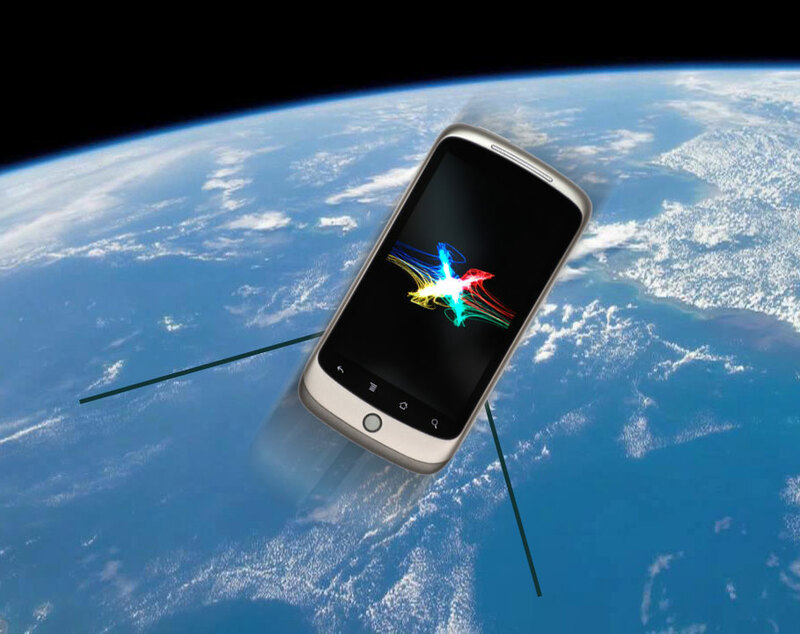 The innovative STRaND-1 CubeSat was built and tested in just three months and is designed to demonstrate the feasibility of using cheap smartphone electronics to control a spacecraft, since it contains a Google Nexus One Android phone as part of its experimental payload. STRaND-1 carries an amateur radio AX.25 packet radio downlink on 437.568 MHz using 9k6 bps FSK modulated data HDLC frame, NRZI encoding. At the time of this post STRaND-1 is passing over in UK in the early morning (South-North) and early evening (North-South), both times are not particularly convenient on weekdays due to work commitments, but last night I did manage to have my first proper attempt to capture some of the telemetry. 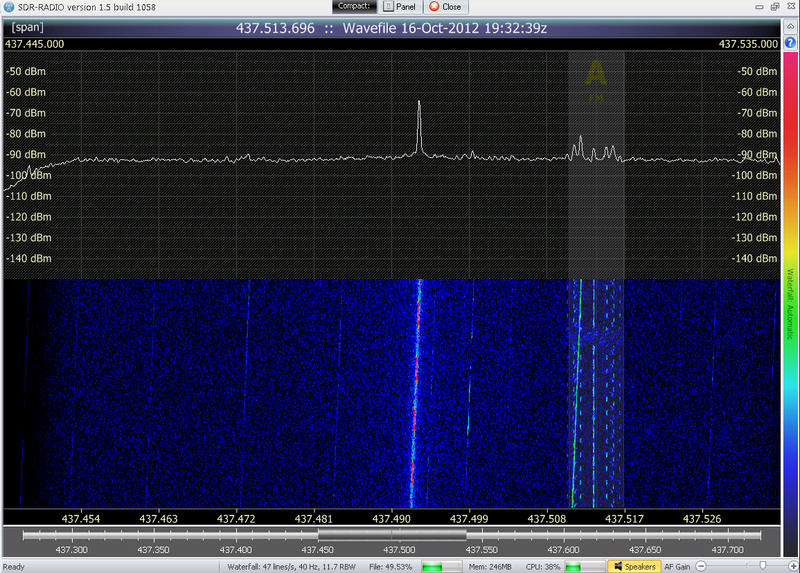 My ‘ground station’ consisted of a FUNCube Dongle and SDR-Radio (V1.5) with doppler correction enabled. 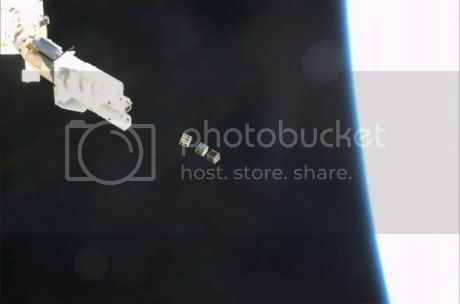 It was connected to a small Moonraker ZL-Special 7-element antenna mounted on a small tripod with my Android phone running the Satellite-AR application mounted behind it. The Satellite-AR assists in pointing it in the correct direction as the pictures below demonstrate. This slightly blury picture shows the satellite cluster containing STRaND-1 displayed in the Satellite-AR app, by moving the antenna on the tripod I attempt to keep this in the centre of the screen hopefully maximising the signal. The next stage was to take this and using a number of software packages, including a TNC modem emulator and extract the data. The process is described here by Jan van Gils (PE0SAT) I have had a few attempts with my captured signals, unfortunately with little success I think due to the signal to noise ratio being too low. 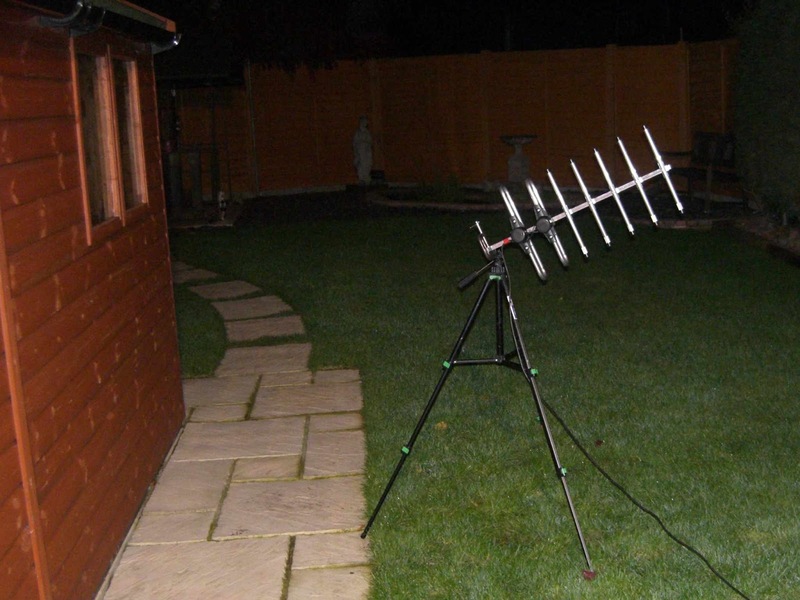 This morning I was up nice and early to capture the pass at approximately 05:50, this time I used my FUNCube Dongle Pro Plus on another laptop, but for some reason the received signal was very poor. In desperation I took the antenna off the tripod and held it horizontally rather than vertically and did manage to get a signal, unfortunately it was at the end of the pass and STRaND-1 was heading over the horizon. Still I am happy with my initial efforts. Right I have put the CB to one side, it has sadly proved very frustrating but more on that another time. So I’ve blown the dust off the the FUNCube Dongles and removed the cobwebs of the 70cm Yagi and am planning on waving it at the sky in the early evening trying to capture some of the telemetry transmissions on 437.568MHz. FITSAT-1 – Full telemetry decode achieved. Had an excellent FITSAT-1 pass last night, successfully received nearly three full frames of CW telemetry. 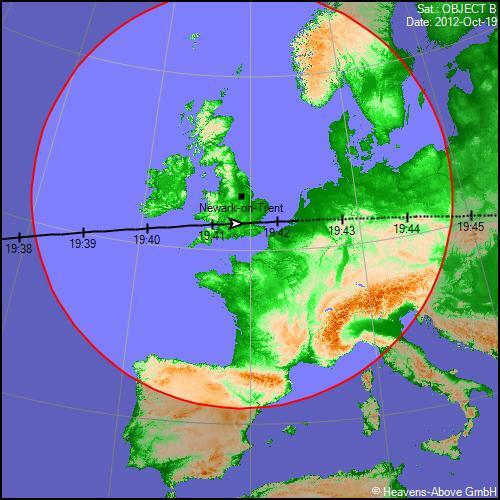 The image above (from the heavens-above.com prediction site) shows a similar pass and illustrates the reception window which is just less than 8 minutes. Each frame of telemetry takes around 2.5 minutes to receive, so I was extremely happy with the results. Again I recorded the pass using SDR-Radio and played back the doppler corrected IQ file later decoding with the MRP40 program, hear is a small video demonstrating the decoding process. 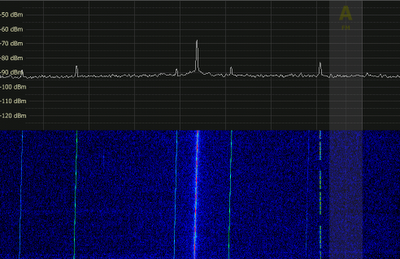 and this was the resulting telemetry data when run through the analyser program (see previous post). I have also uploaded a better recording of the audio. Earlier today I posted about my latest attempts at receiving the FITSAT-1 Cubesat, the reception hadn’t proved too difficult however actually decoding the morse code was proving difficult! Having another go with the MRP40 decode software and replaying a recorded IQ wave file from yesterday I successfully decoded 80% of a full telemetry frame! I also found this interesting pdf file detailing the construction of FITSAT-1 and discovered the 437MHz transmitter is only 100mW. So we have a flying metal cube measuring just 10cm x 10cm x 10cm travelling at approximately 4.5 miles/sec roughly 270 miles above the earth, transmitting with just a fifth of the power of one of those PMR446 hand held walkie talkies that in my experience struggle to maintain a contact over a few hundred meters! Isn’t technology wonderful? Anyhow this was the telemetry frame, as decoded using a PC program developed by one of the students on the FITSAT team. It was dry and a lovely clear sky last night and I had several opportunities to receive the latest Cubesats. I made some sight modification to the tripod mounting of the small 70cm Yagi antenna I am using, repositioning the clamp allowed me to secure my Android smart phone behind it. Then by using the Satellite-AR app I was able to hopefully point and track more accurately. As you can see from this close up, it is quite a useful tool. Selecting the Cubesat catagory in the application, shows the procession of the cluster one after the other. The Cubesats have now spaced sufficiently to allow reception of WE-WISH which is just dropping out of sight as FITSAT-1 is starting its pass. One thing I hadn’t counted on last night was the very high elevation and I struggled to turn and tilt the tripod quickly enough whilst still viewing the screen on the phone, this will hopefully improve with practice! Previously to the tripod I hand held the antennas but the drawback with that method was not being able to check and make adjustments on the computer, the tripod at least allows me to maintain reception. I again received WE-WISH but the signal was too weak and short lived for any reasonable attempt at decoding the SSTV image. 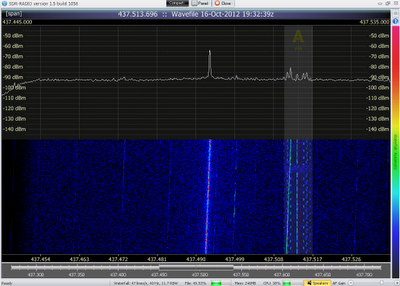 FITSAT-1 was however much better, getting relatively clear signals from the CW telemetry beacon, however I have been struggling to actually decode the messages, however after some research I tried the MRP40 Morse Code Decoder program, which appears to be excellent and as you can see from the screenshot below successfully decoded some of the telemetry messages. Definitely got the bit between my teeth now, will try to get a full telemetry frame this evening, weather permitting! The recently released Cubesats were due to pass with high elevation late last evening, so the new antenna was mounted out in the garden on a tripod and the FUNCube Dongle connected to the trusty laptop in the shack. The Cubesats FITSAT-1, WE-WISH and TechEdSat are now supported by the Satellite-AR application on my android phone allowing me a reasonable chance at tracking them. 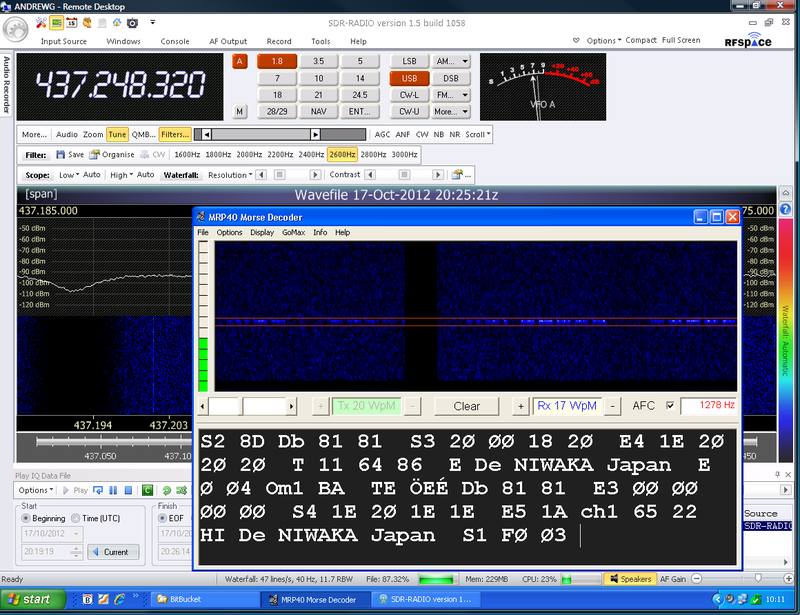 I was very happy to have received this as the WE-WISH downlink transmitter is reported to be only 100mW! 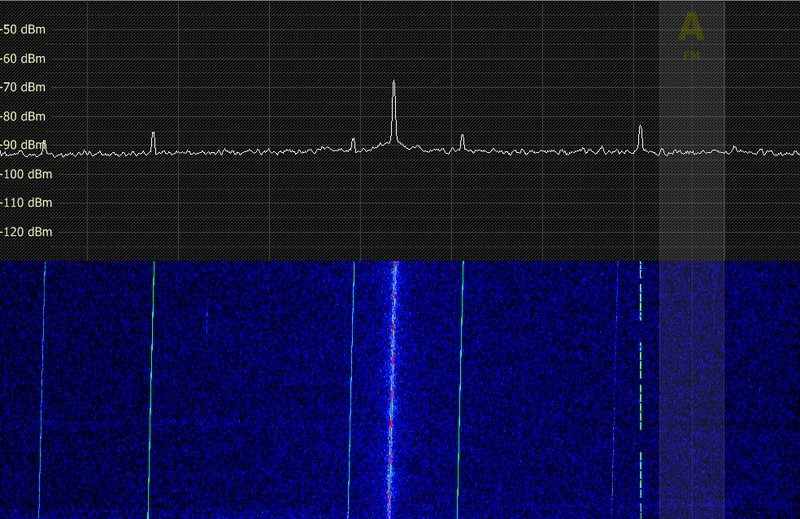 As the signal disappeared I quickly switched to the latter stages of the FITSAT-1 pass and got some nice clear bursts of the CW beacon. Tonight there are two other nice high elevation passes of the Cubesat cluster, so hopefully will get out to have another attempt. 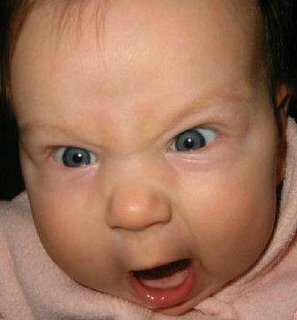 After seemingly fixing that broken laptop it has failed to boot up this morning! I noted that it has been running hot again, the heat sink port on the side has been getting seriously warm so if I do attempt another re-flow of the GPU (if that is the fault) I will have to look at improving the cooling. I am thinking I might drill some holes through the bottom casing to allow more air in and might fit an override switch on the fan since it seems to only come on when very very warm. What is doubly annoying is that over the weekend I managed to receive what I believe are the FITSAT-1 and TechEdSat Cubesats. My earlier attempts last week were only partially successful and the one time I did manage to get really good signals I forgot to set it to record the IQ file. Over the weekend I was away from home, visiting the in-laws. I had taken a scanner, my FUNCube Dongle and laptop. 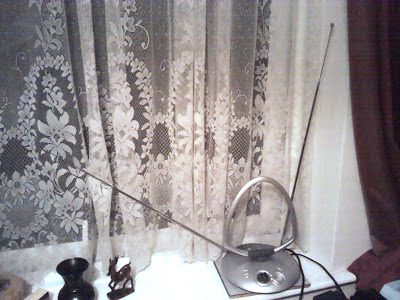 I appropriated an indoor TV aerial and surprisingly managing to get some clearly audible signals, despite major issues with pager breakthrough and interference caused by the aerials wideband amplifier. As soon I manage to get the laptop working, or recover the IQ files from its hard drive I will post the results.